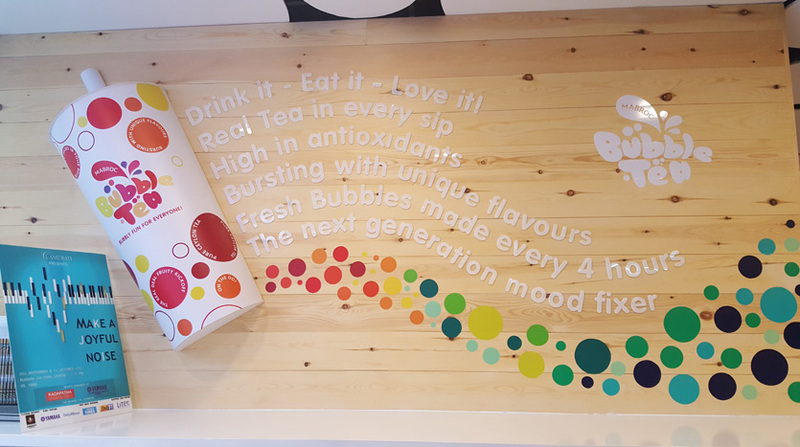 Colombo seems to be gripped by bubble tea mania as the once obscure drink is now more readily available thanks to the spate of bubble tea spots popping up, quite literally. 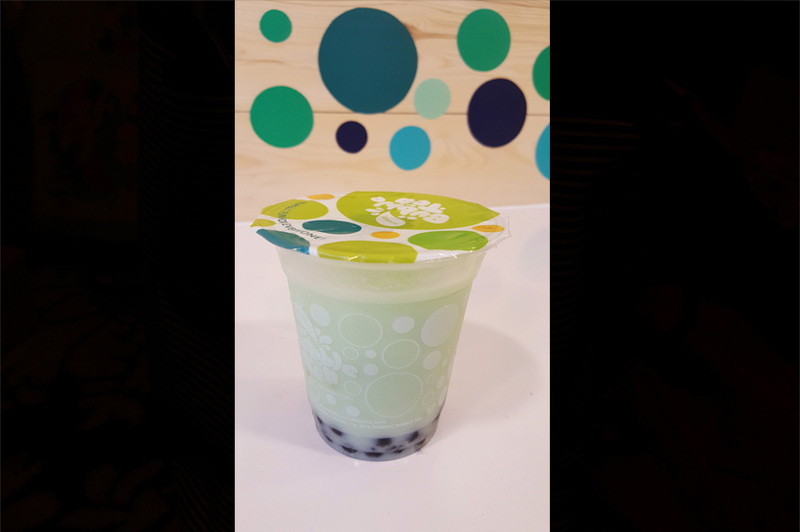 The Liberty Plaza food court is home to the newest spot - Mabroc Bubble Tea and we recently dropped by to check it out. Here's what we thought. Mabroc has quite a decent sized cubicle just for their patrons - and despite the limited seating capacity, space is not really an issue because you can just sit outside the cubicle at the tables at the food court. Their space stands out thanks to their colorful decor, and the white tables and bar stools balance it out quite nicely. 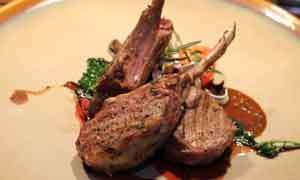 The place was crowded when we got there but the staff seemed quite efficient in maintaining a sense of order. 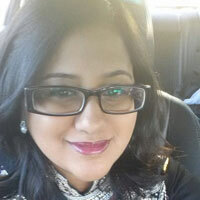 They were knowledgeable and were able to answer any questions we had for them. 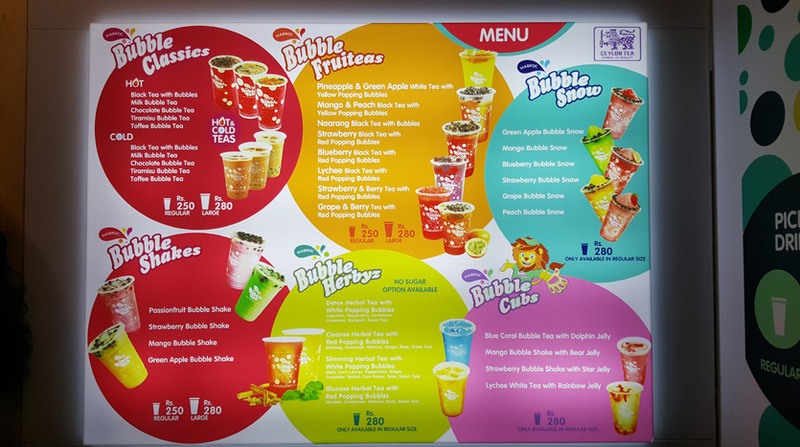 Since Mabroc is all about bubble tea, they have a very focused menu with a variety that comprised Bubble Classics, Bubble Fruiteas, Bubble Snow, Bubble Shakes, Bubble Herbyz and Bubble Cubs. The classics come in hot and cold varieties; the fruiteas with white tea and popping bubbles; snow is basically flavoured crushed ice with tapioca bubbles on top; herbyz were a healthy option minus the sugar (which was one of the varieties we didn't try - unhealthy gluttons that we are), and the cubs included jelly. The drinks we thought were very reasonably priced at Rs. 250 and Rs. 280 for a regular and large sized drink respectively. The Green Apple Bubble Shake was a combo of white tea, milk and green apple. It was deliciously (but thankfully not overwhelmingly) sweet and paired with the subtle flavour of the tea was a pretty sweet deal. The Chocolate Bubble Tea off the classic option was an interesting choice, and rightfully so. When we decided to pick it we were told to have an open mind because most people apparently often are wary of the tea flavour that seeps through. Without a doubt it feels more like an acquired taste, but we actually thought the flavour was quite interesting, despite the fact that the sound of a chocolate and tea pairing sounds a bit off. 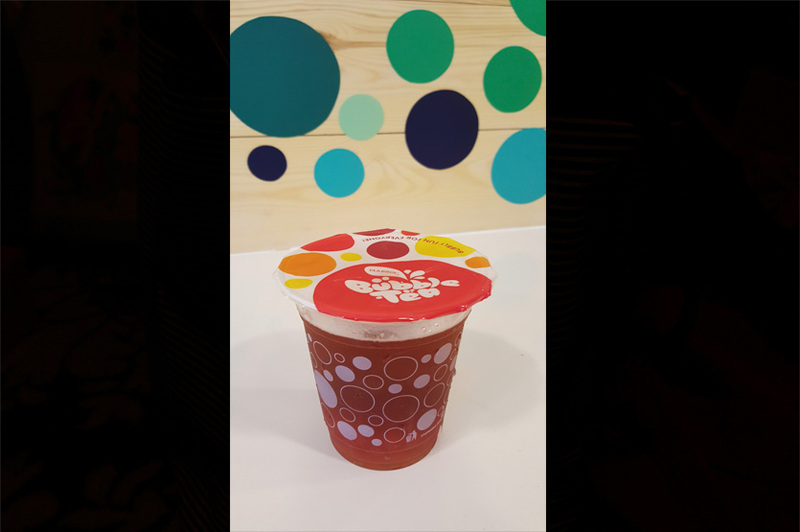 A flavour that's a winner in almost every bubble tea place, the Lychee Black Tea with red popping bubbles was our favourite. There's absolutely no doubt that lychee and black tea are a match made in heaven, if any! It was pretty neat that the bubble tea came in take away plastic cups with a cover that's easily pierced through with the straw provided. 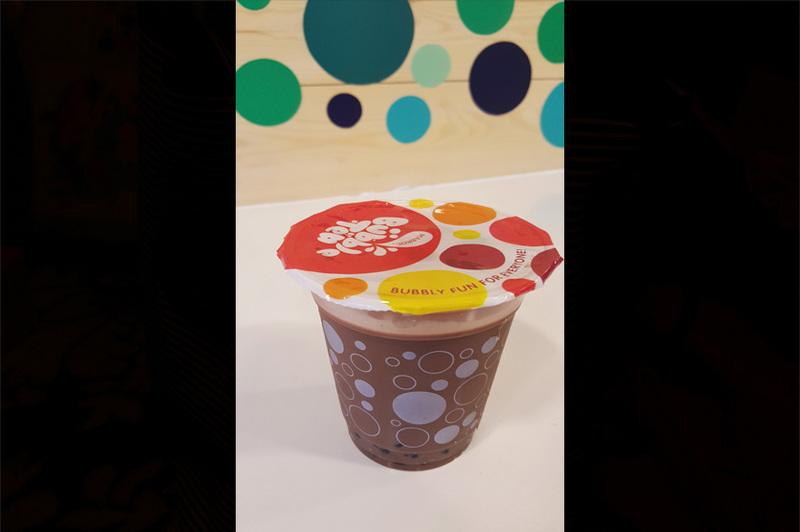 It was also convenient and thoughtful - especially considering that many bubble teas all look the same - that all cups had a little printed note pasted on the cup with your order so you're not likely to mix your drink with your friends order, for instance. As of now, there's no option to pick your own flavour of popping bubbles - we were told it's because for some orders it just doesn't make sense as a pairing, but that they are looking to make some changes in the near future. Mabroc is a great place to grab bubble tea and their prices are unbeatable. Their service is good and so are their drinks. 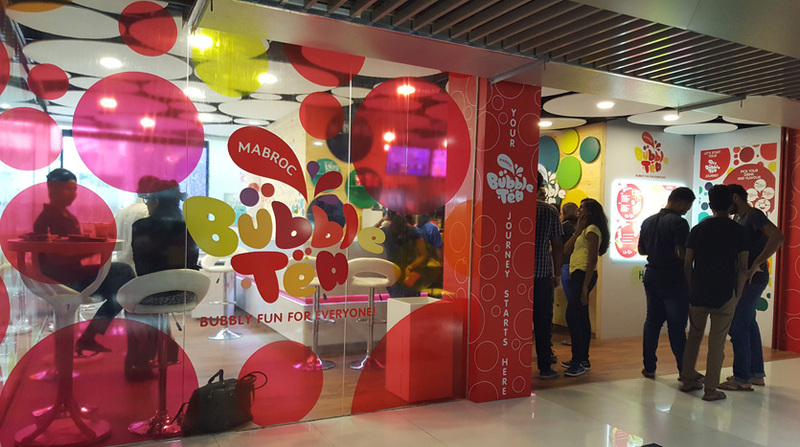 Mabroc Bubble Tea is located at 250/B04/1A, Food court, Liberty Plaza, Colombo 03. 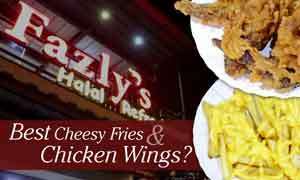 They are open weekdays 10:00 AM - 9:00 PM and on weekends 10:00 AM - 9:00 PM. 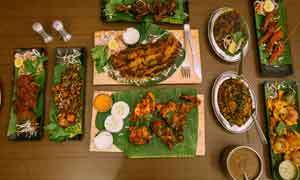 You can call them up on +94-765-703030 for more info.